In "Kennedys in Love," the author pens an exciting novel that brings readers back into various moments in American history. 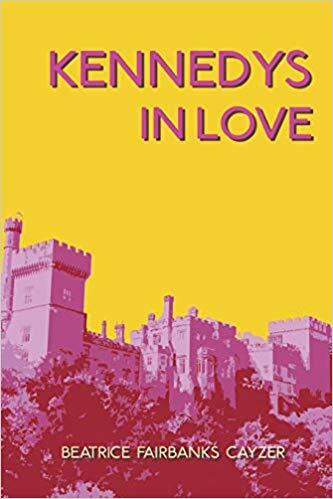 Kennedys in Love is a tasty and suspenseful novel that looks back on how Ambassador Joseph Kennedy lost some of his children to violent deaths due to his fanatical ambitions. Beatrice Fairbanks Cayzer is from a distinguished family and founded the Cayzer Museum for Children. She has been leading a purposeful and exciting life yet her love for crafting great stories always empowers her. Under her name, she has written numerous successful novels such as “The Princes and the Princesses of Wales,” the “Rick Harrow” novels, and many more. This time, she presents another page-turning story in her new novel. “Kennedys in Love” is a tasty and suspenseful novel that looks back on how Ambassador Joseph Kennedy lost some of his children to violent deaths due to his fanatical ambitions. It walks back in the history of how Joseph Junior, Kathleen, and former US President John F. Kennedy died. Readers will follow the story of Mark and Rosie, years after these historical deaths occur. Kick and Mark share an undying love for each other but 14 years later, he meets and falls in love with Kick’s double, Rosie. When Rosie begins uncovering the truth about JFK’s assassination, she and Mark become targets for the same assassins responsible for the former president’s death. Catch “Kennedys in Love” as it joins the upcoming Los Angeles Times Festival of Books on April 13-14, 2019 at the University of Southern California. Don’t miss it!